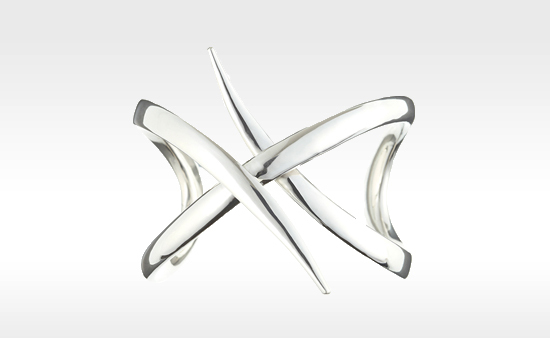 We are thrilled to be announcing a new design collaboration with Alice Cicolini, a London-based jewellery designer, curator and author. We have been working with Alice throughout this year to develop our new collection of pearl rings, which has just launched at Winterson. 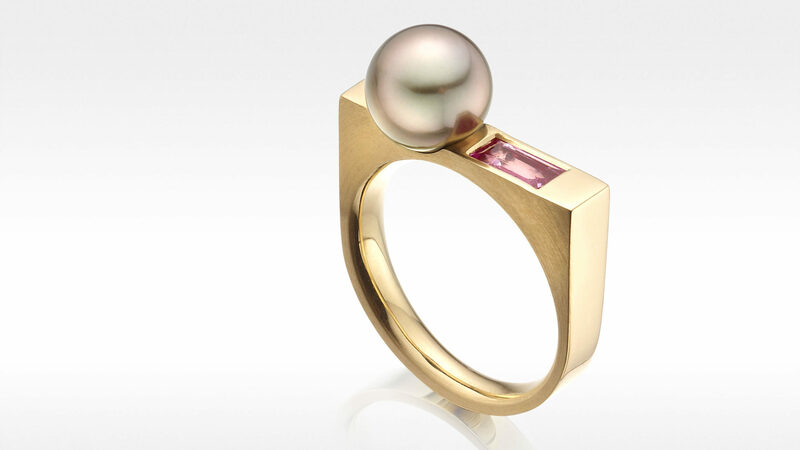 The collection features classic Akoya, South Sea and Tahitian pearl rings with diamonds and colourful gemstones, set in 18 carat gold. Alice is best known for her beautiful and unique jewellery, which is inspired by the enamel traditions of Persia and the patterns and traditions of the Silk Route. 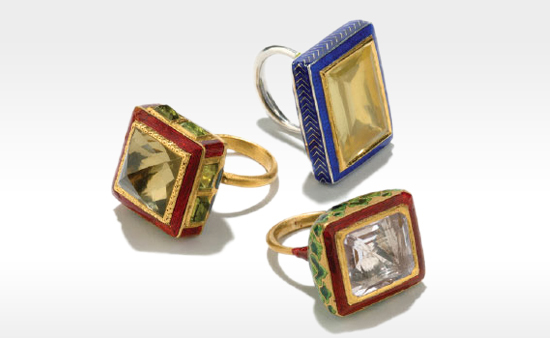 Her pieces are handmade in India to the highest quality of craftsmanship, using an artisanal technique of placing enamel onto metal called meenakari. 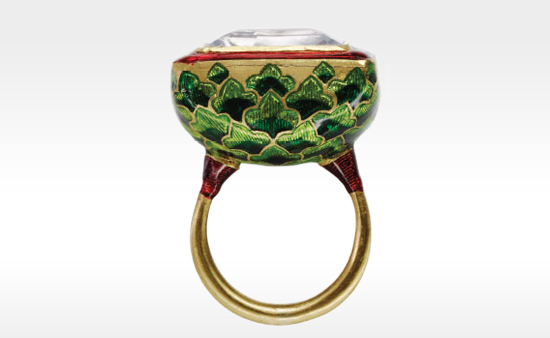 This traditional enamelling style originated in the courts of Persia and was established in the early 1600s in Jaipur, Rajasthan. Colourful layers of enamel are laid into grooves in the metal and fired individually to build up a complex and intricate pattern that can turn a piece of jewellery into a work of art. Often this detail might only be visible to the wearer. Alice's Silk Route, Jodhpur and Silver Tile jewellery collections combine vivid reds, yellows, pinks, blues and greens and are quite wonderful to see. 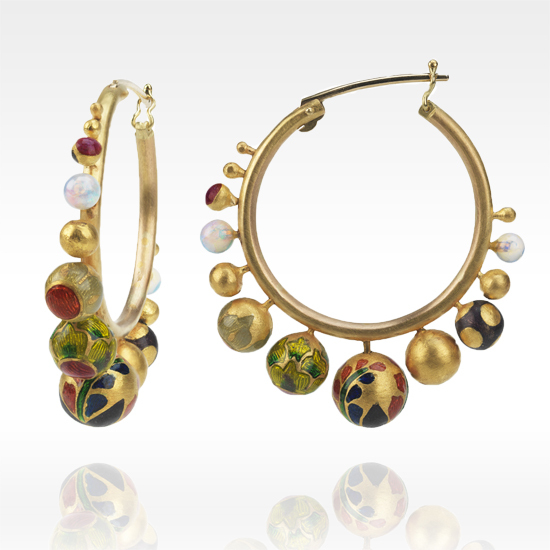 The new hoop earrings (pictured above) from a new collection called Orbital feature enamelled 22ct gold and shimmering white opals. A background as a former Director Arts & Culture for the British Council in India, a graduate of Central Saint Martins in London and an author on contemporary British dandyism, give some clues to Alice's love for fashion and creative design. She has exhibited at Somerset House and Sotheby's in London, as well as curating a number of international exhibitions on design. Enamelling was also a favourite technique of the Art Nouveau jewellers such as Lalique and Fabergé around 1900. Around this same time seed pearls were very popular, being used to decorate brooches, bows and earrings. What might be possible today? Inspired by the tradition and combination of these classic materials, the new Alice Cicolini collection for Winterson will be launched in Autumn 2013.